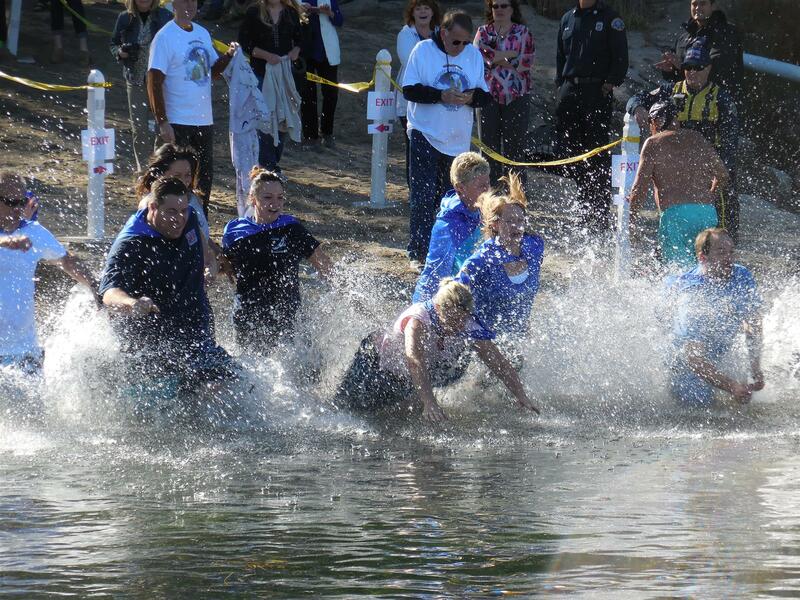 The Rotary Club of Lake Arrowhead is hosting the ELEVENTH annual PolaRotary Bear Plunge at the Lake Arrowhead Resort and Spa Beach at 10:00 AM on Sat. February 2, 2019. 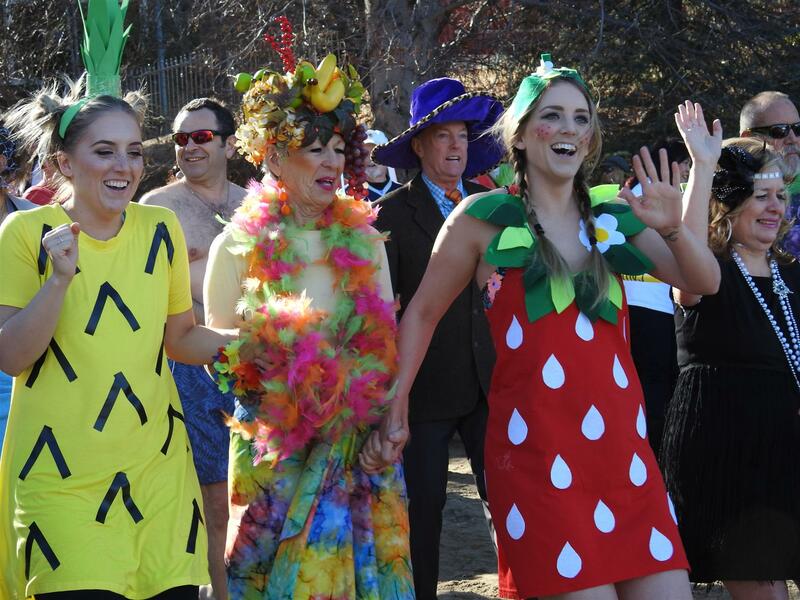 Styled after fundraising “walk-a-thons”, volunteers dive into the freezing cold waters of Lake Arrowhead to raise money for the Lake Arrowhead Rotary Foundation and their favorite charitable organization. Those who jump split the money they collect between the Lake Arrowhead Rotary Foundation and another charity of their choice. Over the past years, jumpers have included State Assemblymen, County Supervisors, Mountain Citizens Of The Year, the Mountains Community Hospital CEO, school board members, school teachers and principals, school board superintendent, Rotary presidents, Rotary district governors, Chamber of Commerce Executive Director, and the list goes on. Since 2009, 554 jumpers raised $261,000 for 62 different charities. And 45 percent of the jumpers were women. 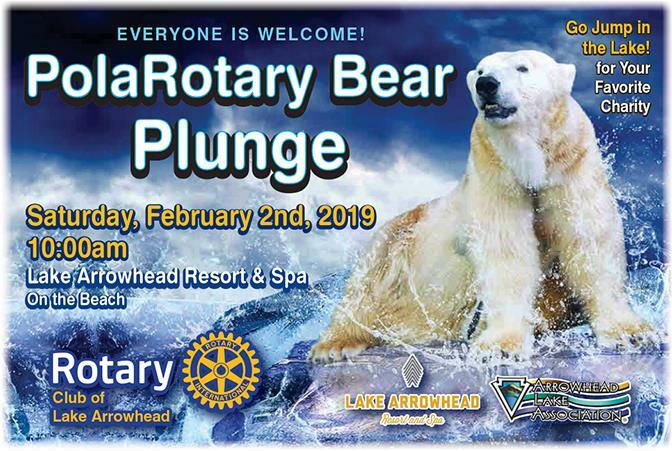 Event chair Dr. Patrick Rains hopes to again smash all records this year and encourages all leaders involved with nonprofit organizations to consider the PolaRotary Bear Plunge as a fundraising opportunity. Sponsorship checks should be made out to: Lake Arrowhead Rotary Foundation, and mailed to P.O. Box 686, Lake Arrowhead, CA 92352. Please make sure you put the name of the jumper you are sponsoring on the check. NOTE: Jumpers are responsible for collecting all funds from sponsors. Top money raisers in 2018 were Arrowhead Arts Association, Rim Educational Foundation, the Ronald McDonald House, Lake Arrowhead Rotary Foundation, Mountains Community Hospital, and Knights of Columbus #7950. Other perennial participants were UCLA Mountain Bruins, Mountain Boys and Girls Club, Mt. Calvary Lutheran Church, Mountain Jewish Community, Mountain Sunrise Rotary, Rim Communities Special Olympics, Project Child Save, and Rim High Band Boosters. goes to the Jumpers and their supporters who made this event a success. Thanks to all the individuals and organizations that made this event possible. 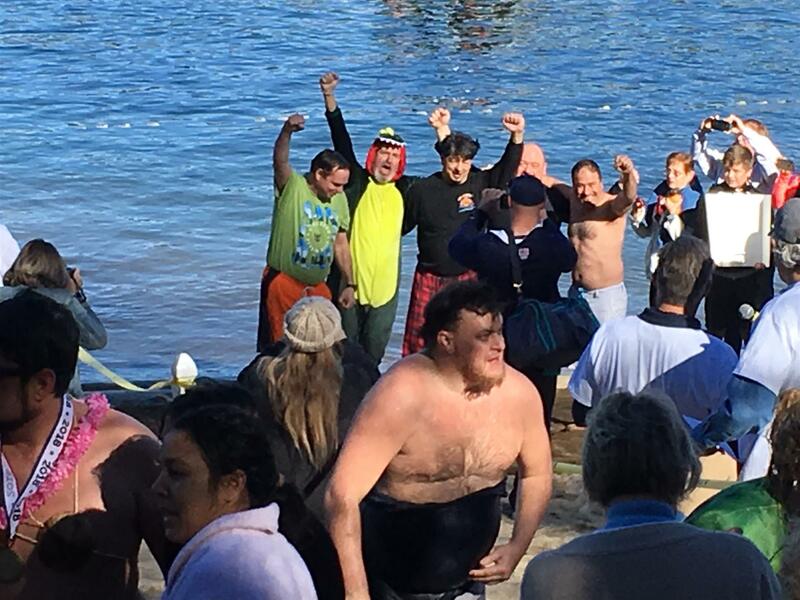 Special thanks to the Arrowhead Lake Association, The Lake Arrowhead Resort and Spa, The Cold Water Rescue Team and the Rim High Audio Visual Club. Click below on 2018 RECAP for more info on last year's Plunge. icy plunge into Lake Arrowhead. 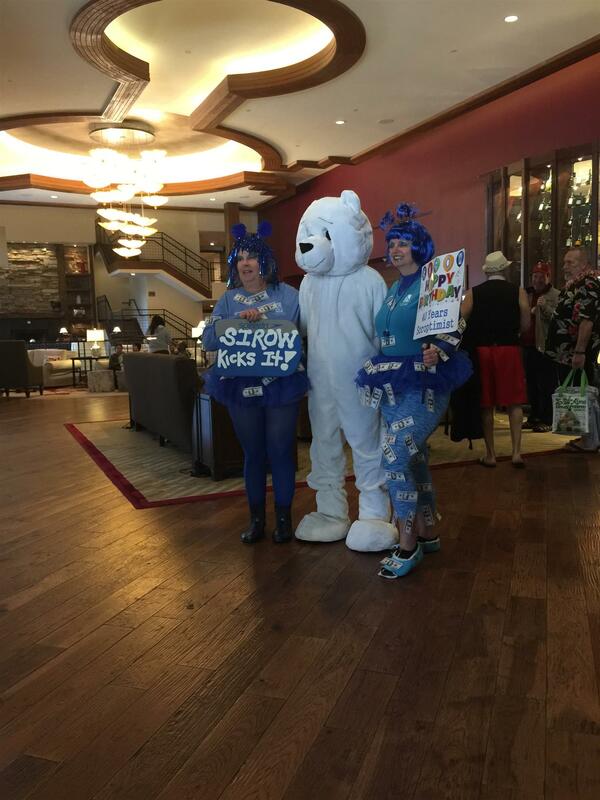 Soroptomists enjoy having their photo taken with Mascot Polaris before they enter the icy waters. Copyright © 2012-2016, all rights reserved. 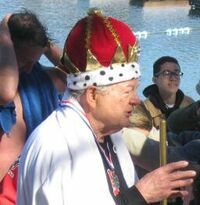 www.PolaRotaryBearPlunge.com is owned and operated by the Rotary Club of Lake Arrowhead, California.